FM Ignacio Perez wins 2015 WA G/60 Championship! 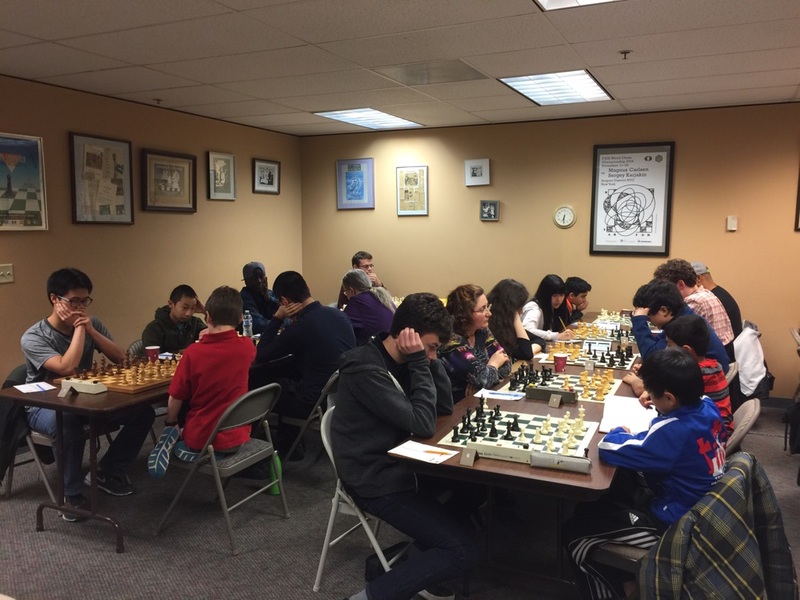 The 2015 WA G/60 Championship was held at Seattle Chess Club over winter break December 28-29. 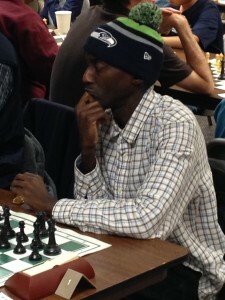 The tournament was hosted by the Washington Chess Federation and directed by Fred Kleist. 48 players took part in one large open section. FM Ignacio Perez, originally from Cuba, won clear first with 5.5/6, claiming the $180 first place prize. USCF Expert Huso Hadzic and Class A player Brendan Zhang tied for second with 5.0/6 apiece. Jacob Mayer, Oscar Petrov, Joseph Truelson, Brian Chen tied for =U1800 with 4.0 each. Owen Xuan and Daniel Shubin tied for first =U1600 also with 4.0 points. Joshua Lewis-Sandy, Jason Reeves, and Brandon Jiang split U1400 honors with 3.5 points each. Kevin Tu and Anne-Marie Velea tied for the U1200/unr. prize, each scoring 3.5. Photos from the tournament can be found here. The USCF rating report can be found here.